Rifle Camp Park, in Woodland Park, NJ, is another one of my favorite birding spots. 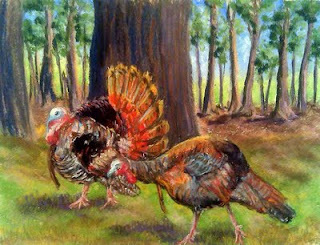 I almost never go there without seeing wild turkeys, and I've probably taken dozens of photos of the turkeys over the years. I've long thought I'd enjoy painting them some time if I ever got a photo that I felt did them justive. But I took a photo last fall that I thought might be just the one, and that was my reference for this painting I did last night. 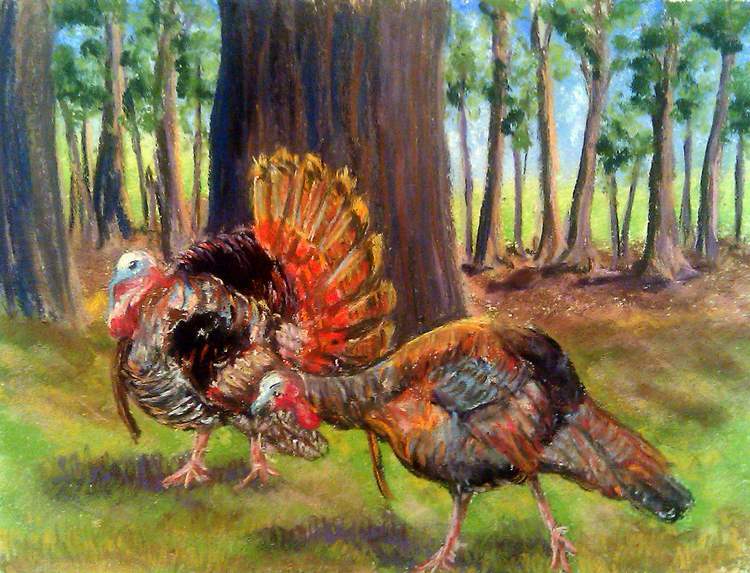 Although the turkeys are common you don't often see the toms strutting their stuff, with tail feathers on display, so that made this one especially fun, As usual done on my 9x12 Art Spectrum.